We all know that beauty queen Aishwarya Rai Bachchan has always made headlines with her appearance at Cannes Film Festival. This year too she will be gracing the event with style and grandeur. This time the event and place will be a bit more special for Aishwarya Rai Bachchan because she will be completing 15 years of going to the prestigious film festival. She will be heading to Cannes on May 11, 2016 to mark the day and event. So, on this special moment, 'Neerja' actress Sonam Kapoor has sent her a heart-warming wish saying, "Congratulations Ash on completing 15 years of going to Cannes. I am sure this year is going to be as incredible as all the years before." 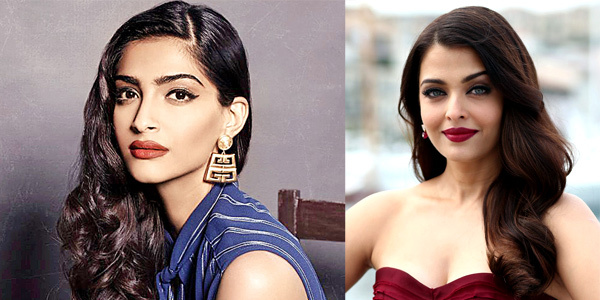 Sonam and Aishwarya share the face of a cosmetic brand ‘Loreal’ together. But I say this was a very sweet gesture of Sonam.